Professional service and field service industries love the benefits that Acumatica brings them. For service industries to be able to provide great service to their customers they need real-time access to information, and the ability to employ all the resources of their organization with access to that information for their customers. Only an integrated business ERP for the service industry will provide the powerful 360-degree view of your customers’ activities, requests, and projects that your company needs to stay ahead of the competition. With Acumatica’s licensing model you are not charged per user so all the departments that need access to your data have it. Also with Acumatica’s any device, anytime, anywhere access you get notified of your customers needs when they happen. With outlook integration and automation service requests can automatically be routed to the right party. Acumatica’s fully integrated system means you’re not working with multiple systems trying to track down information. One system that integrates your company’s financial management, operations, and CRM. Every person has full access to all the information. Your customer service department gets notified through an email or call and can instantly notify staff in the field, or incoming requests for support emails can be automatically routed to the right support consultant or department. If your field service team needs to know if Inventory is in stock for a part, see the original invoice they can get real time access to that information. Service staff can input time and service management information through remote entry. Shorten the time between call receipt and job assignment with Acumatica’s scheduling, dispatching, and call center. Wholesale distributors need ERP systems that are optimized, streamlined, and enable them with speed and quality to handle their distributions processes. To provide great customer service the entire team must have access to accurate and timely information. Anytime, anywhere, on any device helps insure that your team has access to all the data. An integrated system from the CRM system knowing what was communicated to the customer through the whole Sales and Distribution process enables you to quickly service your customers. A single unified view of customer activity is critical to knowing all communication to the customer and all transaction activity with that customer to be able to serve him better. The ability to automate their processes after an order is fulfilled helps tremendously, for example shipping documents are automatically printed for packing and shipping confirmation is emailed to the customer, and the order gets moved to an invoice. They may also need to have to integrate with multiple systems in real time, automatically. Acumatica can automatically integrate ecommerce orders into Acumatica Sales Order and then ship picking documents are automatically printed or the shipping department is notified how many orders aer awaiting shippment. Some of Acumatica’s customers were told they could only get the features that Acumatica has for over a million dollars, but Acumatica was able to do it for 1/10 the cost. 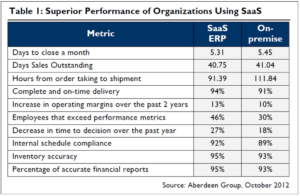 All of these things Acumatica can handle which is why more companies are going to Acumatica. * From the Aberdeen Group’s February 2015 report “What has Changed in Wholesale Distribution : 2015 and Beyond” by Bob Heaney, Research Director, Supply Chain, Wholesale and Retail Practices. With a fully integrated system you are able to take orders from your eCommerce store automatically flowing them into Acumatic’s sales order ready to process for the shipping department. This complete eCommerce ERP solution tightly integrates a robust eCommerce platform with Acumatica’s Financials, Sales, Inventory, CRM, and Fulfillment systems using Magento. Acumatica eCommerce Edition allows you from one dashboard to manage eCommerce, inventory, picking-packing-shipping, returns, customer support, and accounting. Automating your shipping and receiving workflows, and reduce shipping and packing errors by automatically printing barcode labels and pick tickets. This automation and efficiency enables to boost customer satisfaction. Use Scanners to pick goods when they are placed in a box, and confirm shipment. Built in integration with UPS WorldShip and FedEx Ship stations allows for even greater efficiency. Acumatica provides a multi-channel ordering experience while improving operating efficiency, whether it’s through an eCommerce store, POS, or through the regular sales order screens. Acumatica automates how online sales orders are taken and fulfilled and delivers a retail and software solution for small and mid-sized companies that improves the in-store experience. Acumatica’s Cloud ERP brings everything together in one integrated solution to improve the buying experience and encourage repeat customers and is designed with flexibility to accommodate the needs of a single location or multi-channel sellers. Acumatica provides a centralized view of your business, where you get a real-time status of orders, inventory, shipments and profitability by product and location. By delivering a complete view of your business across online sales, telesales, and retail sales operations, Acumatica helps you to optimize inventory, ordering, and profitability. JAAS Advanced Manufacturing Software (JAMS) for Acumatica is designed and built on the Acumatica Cloud ERP platform by JAAS Systems. It is is built within the Acumatica framework and is fully integrated with Acumatica’s Financial, Distribution Management, Customer Management, and Project Accounting Suites. JAAS Systems has nearly two decades of experience developing feature-rich manufacturing systems, and they chose Acumatica’s cloud solution because of the rich technology platform and to have a fully integrated manufacturing solution with the ERP. To have the competitive advantage in today’s market you have to be an agile manufacturer that can adapt to constantly changing conditions and access to real-time data throughout the enterprise. Changes currently facing producers are the emergence of the Industrial Internet of Things (IIoT) and Big Data analytics; the increase of mobile devices, anywhere; collaboration internally and with the supply chain, ERP in the cloud; and more emphasis of end-to-end supply chain processes and systems, to name a few. You need a flexible, optimized, and adaptable ERP solution that enables you have access to data anywhere, on any device, at any time. The top challenges for manufacturers – and their solutions – depend on visibility of timely, accurate information and collaboration within the company as well as with the supply chain. Given the speed at which things change, simple reporting is not sufficient. Users need information that is real-time accurate; the ability to drill down into detail to understand what they see at the top; the ability to easily integrate data from multiple sources; and customizable presentations to focus on the specific information they need. In response, the industry is seeing a rapid movement towards self-service Business Intelligence. 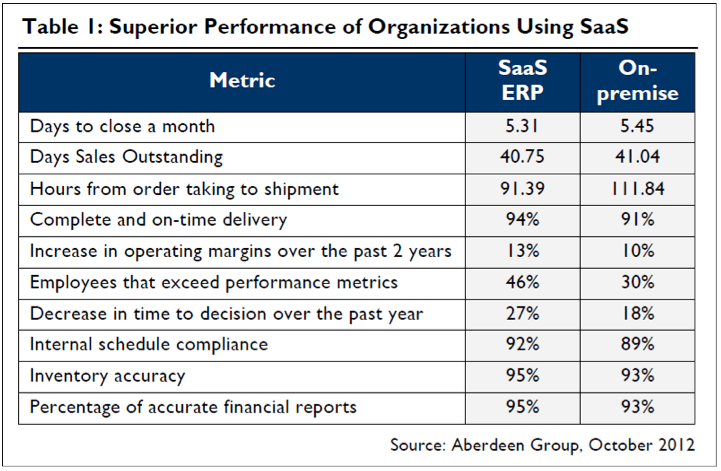 Past Aberdeen research has shown that organizations using SaaS BI spend significantly less per user than purely on-premise organizations. These savings accrue for cloud adopters as analytical resources are rented from the provider, rather than being diverted from IT”. These organizations make quicker decisions, have more accurate inventories and financial reports, ship orders more effectively,and enable their employees to be more effective. …all other things equal, it appears cloud solutions produce an advantage. JAMS for Acumatica is built on Acumatica’s modern web technology platform to integrate information across the manufacturing applications and throughout the Acumatica system. It is a fully embedded manufacturing solution in Acumatica, there is no need to re-key data in multiple places. All data updates are immediately available system wide. The system’s workflow ensure that important steps are completed properly and all approvals, documents, and other required data are included contributing to data accuracy. MRP – The JAMS for Acumatica MRP module enables an organization to satisfy customer requirements while maintaining optimal inventory levels. The JAMS for Acumatica MRP module enables an organization to satisfy customer requirements while maintaining optimal inventory levels. Acumatica’s is built on the world’s best cloud and mobile technology, it provides a solid foundation for the wide range of business applications that make up Acumatica. Acumatica is a very adaptable system and supports most industries.